Johnson & Sekin has been named to Advertising Age’s illustrious “Best Places to Work” for the second year in a row. 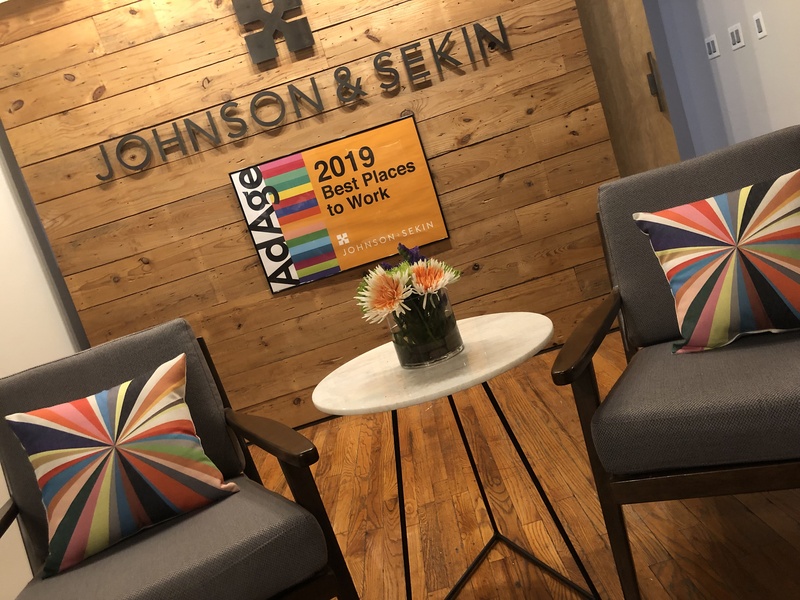 Ad Age’s Best Places to Work is comprised of just 50 companies nationally, with Johnson & Sekin claiming the #21 spot for agencies with fewer than 200 employees, up from it’s #30 spot on last year’s list. J&S is also 1 of just 14 companies recognized for having an employee pool that’s at least 50% female or more. This year’s list consisted of just three Texas-based agencies, with J&S being the only headquartered in Dallas. The overall scoring system factored in six key satisfaction areas: employee benefits, company culture, employee development, company environment and employee perks.